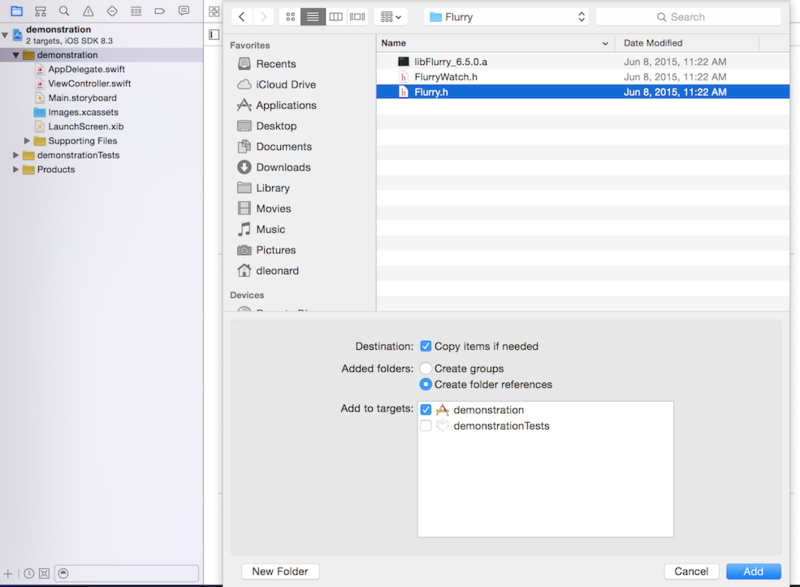 If you prefer to develop iOS apps using Swift and want to integrate Flurry Analytics in your Xcode project, you can accomplish this task with a few simple steps outlined in this guide. To make this happen, you’ll import a set of Objective-C files in the same app target as your Swift code and use an Objective-C bridging header to expose those files to Swift. These instructions will only guide you in integrating Flurry Analytics. If you plan on also integrating Flurry Ad Publishing for a Swift project, follow “Option 1” on the iOS Integration Page and import Flurry using Cocoapods. A screencast of the process illustrates the steps to follow. The entire integration should take no longer than ten minutes. For starters, you’ll need to download and install the Flurry SDK on your system. Create an app for iPhone. Once you download the Flurry SDK and obtain your API keys, you’ll be ready to start a Flurry Session. 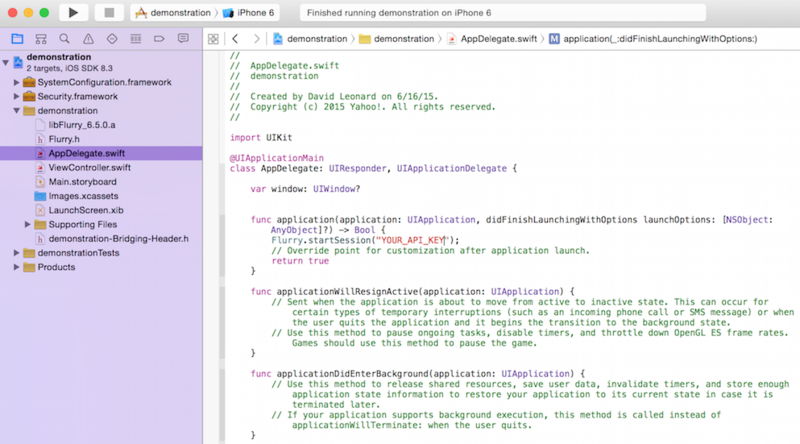 Create a Swift-based app from one of the Xcode templates. Important: Make sure you’ve checked the Copy Items if needed checkbox under the Destination section. In your project, select Build Phases. Important: Although these frameworks are not required for simple Flurry analytics integration, you’ll need them in order to display ads in your apps. Select your demonstration project subfolder. Select File > New > File. You’ll be prompted to choose a template for your new file, which we will select Source under iOS along with Header File. projectname-Bridging-Header.h, where projectname is the name of your project (in this case, it’s integration). Select your project root and select Build Settings. In the search bar, type in Swift Compiler. In the “Objective-C Bridging Header” section, double-click the empty space. You’ll be prompted to enter a path to the bridging header file that you want to expose. Finally, in your AppDelegate.swift file, start typing Flurry. 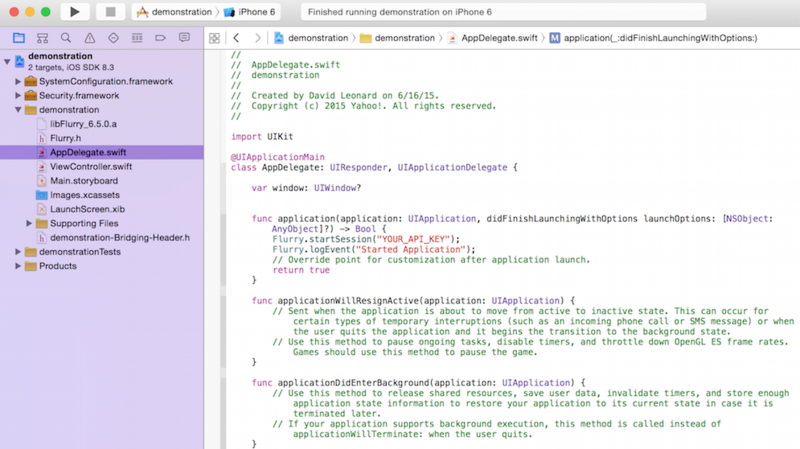 Now you can import Flurry methods written in Objective-C and use them in our Swift apps. If you need any other files for development, simply import them in projectname-Bridging-Header.h. Now that you’ve got your bridging header set up and can import existing Objective-C code, you can begin working with Flurry analytics. Replace “YOUR_API_KEY” with the API key you received when registering your app through Flurry’s Developer website. where you can replace Started Application with any string of your choice. Following the steps in this guide, you’ve successfully integrated Flurry SDK using Swift and are now ready to move on to Tracking Custom Events. In doing so, you’ll be better able to understand many facets of user behavior in your apps.